Lithium hydride sieved is a chemical compound of lithium and hydrogen. 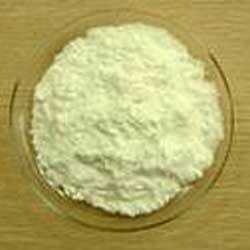 It is also used as a reducing agent and widely demanded for the production of monosilane. Lithium hydride sieved is highly appreciated amongst customers for its high melting point. Lithium hydride as powder is a grey color solid powder with high melting point. 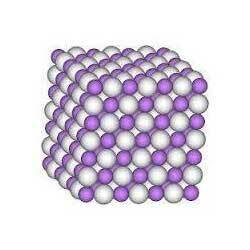 It is crystalline solid and its thermal conductivity decreases with the increasing temperature. Our product is manufactured by treating lithium metal with hydrogen gas. We are involved in providing superior grade lithium borohydride, typ. 5 % solution in THF (typ. 2 M). 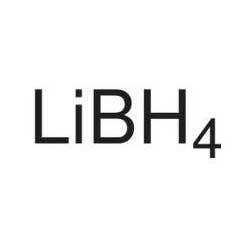 This lithium borohydride, typ. 5 % solution in THF (typ. 2 M) is known for its longer shelf life. Our product is a reducing agent and used for organic synthesis. Selective reduction of esters, carboxylic acids, amides, epoxides, ketones and aldehydes in the presence of other functional groups such as nitriles, nitro groups, alkenes and halides. The addition of a stoichiometric amount of methanol increases significantly the reducing power without affecting the selectivity. Lithium borohydride is an inorganic compound with molecular formula LiBH4. 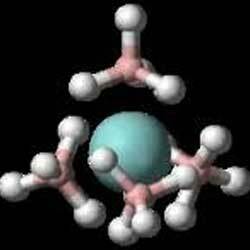 It is also known as Lithium hydroborate and Lithium tetrahydroborate. Lithium borohydride is a stronger reducing agent and is highly soluble in ethers. Furthermore, it is prepared by using metathesis reaction.